Spring is just around the corner and this stunning piece of floral wall decor might just be the sort of thing to help you welcome it! It is one of the most popular seasons of the year - Certainly in the top 4 - and it deserves special attention! 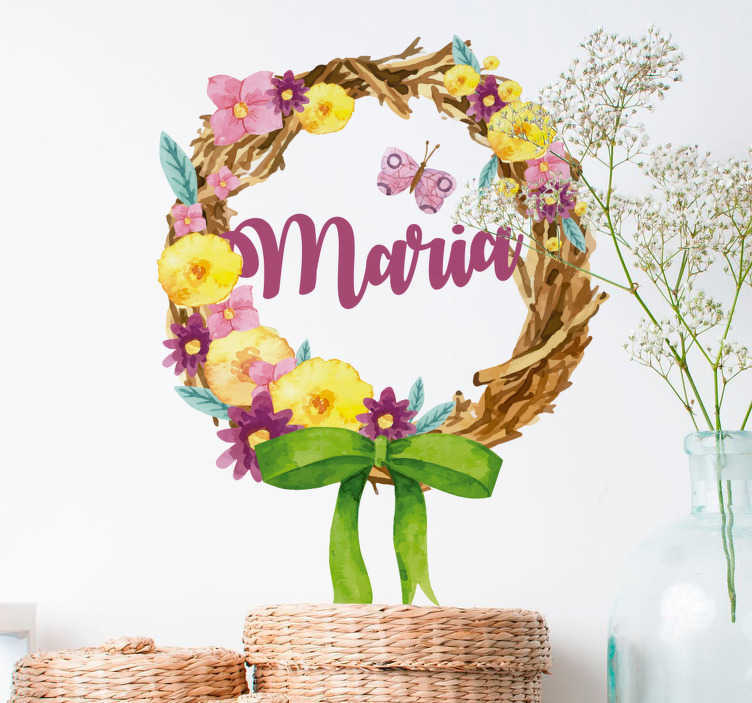 That is why we believe this flower wall sticker might just be perfect for you, given its fantastic splash of colour and the fact that it can be customised with any name you like!